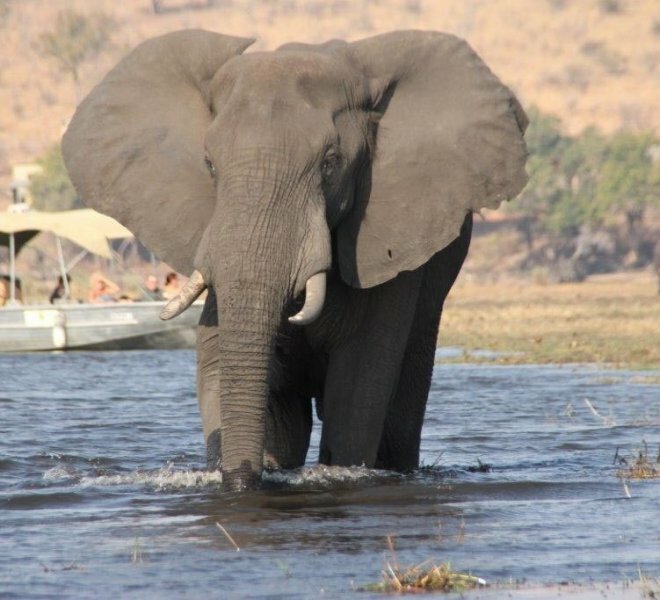 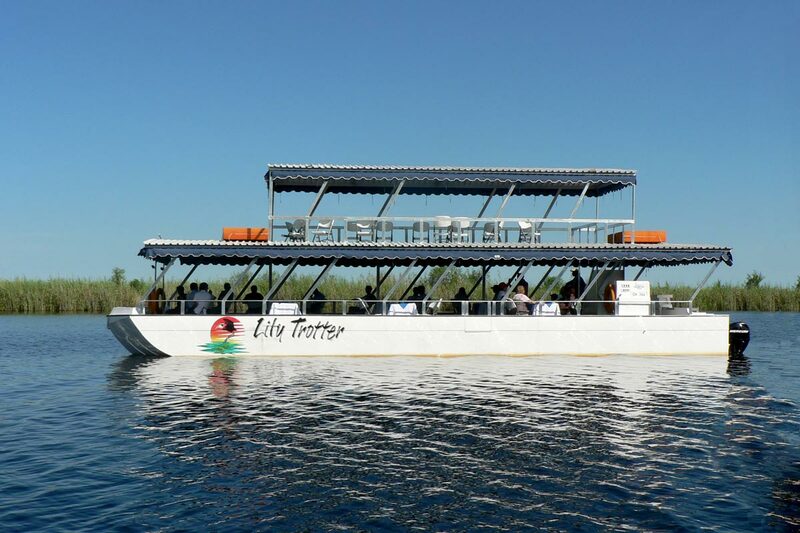 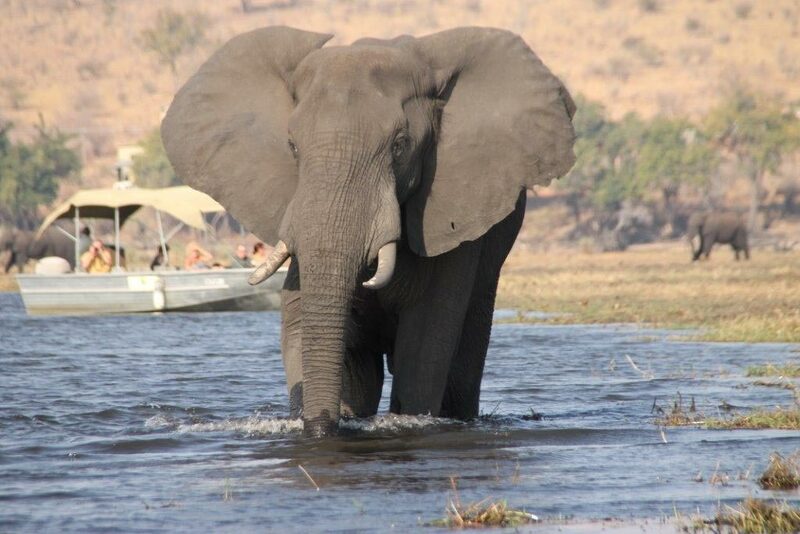 The highlight of a Chobe visit…The sunset river cruise. 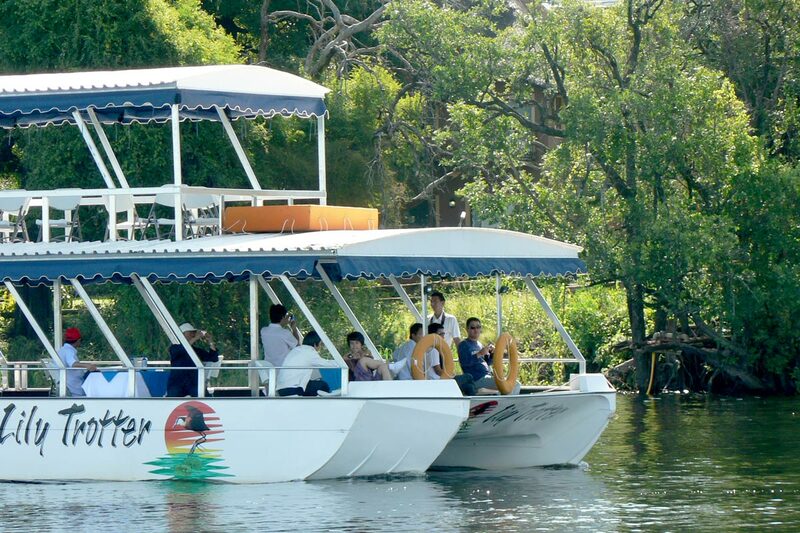 We offer early morning, mid day and afternoon boat cruises. 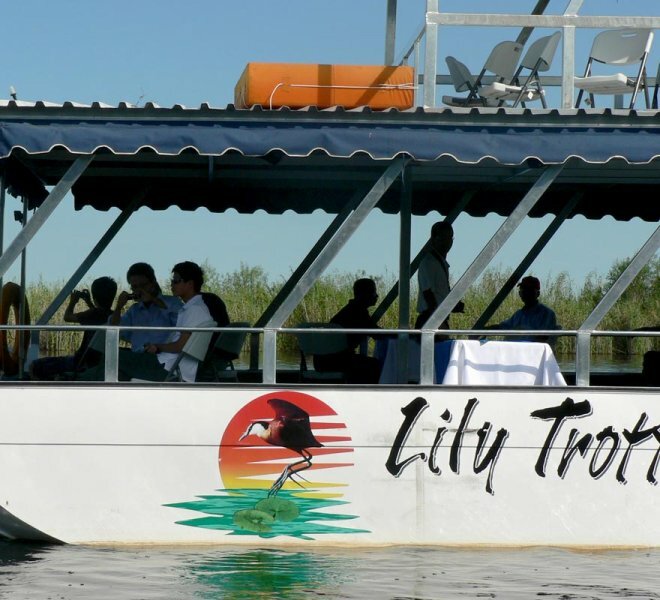 The birdlife along the Chobe river is every keen birders dream come true or those that are tired of all the bundu bashing and are just looking for a relaxed way of enjoying nature. 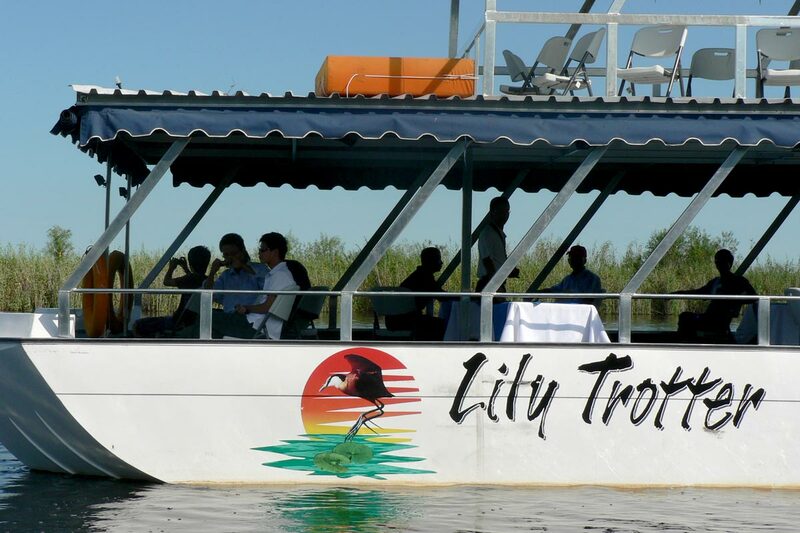 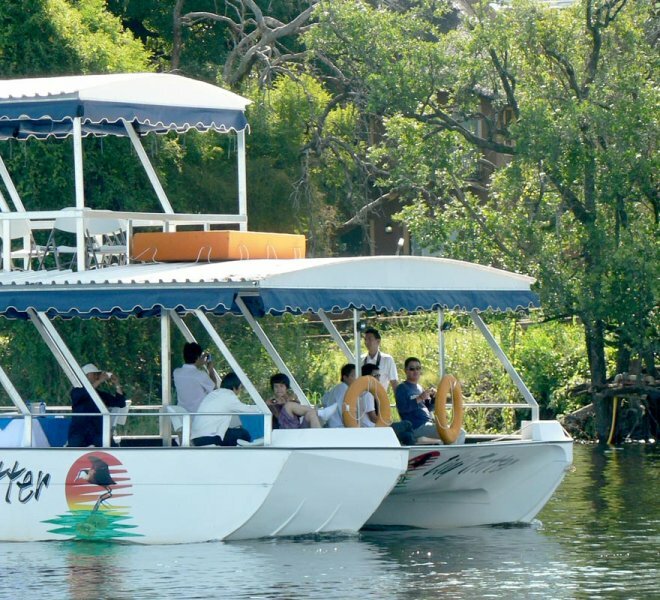 Water animals such as hippos, crocodiles as well as land animals (buffalo, giraffe, impalas and many more) can also be enjoyed on the boat cruise. 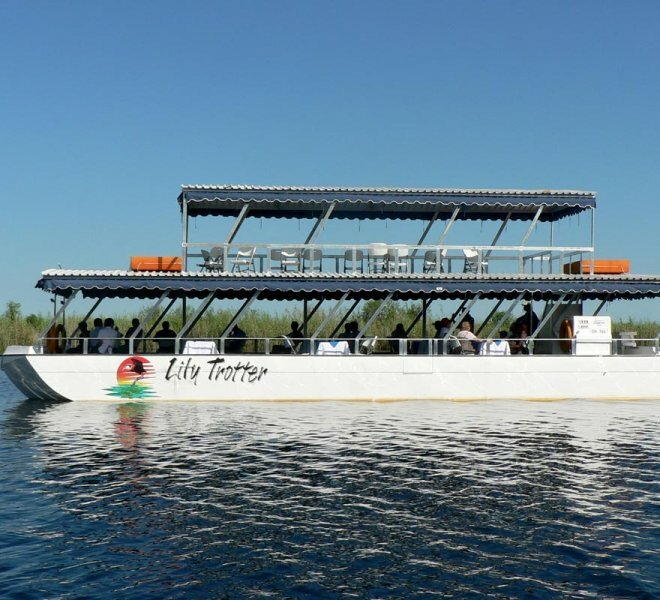 The Lily Trotter (our 60 seater double decker barge equipped with a his and hers toilet) is famed for hosting remarkable breakfast and lunch cruises as well as birthday and wedding celebrations.